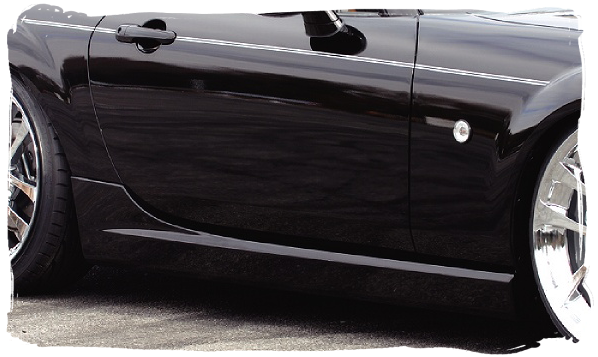 Adding aftermarket side skirts to your Roadster is a good way to compliment changes to the front and rear bumpers. As well as improving the looks of the car, they are also designed to change the way air flows around and underneath the car for aerodynamic benefits. 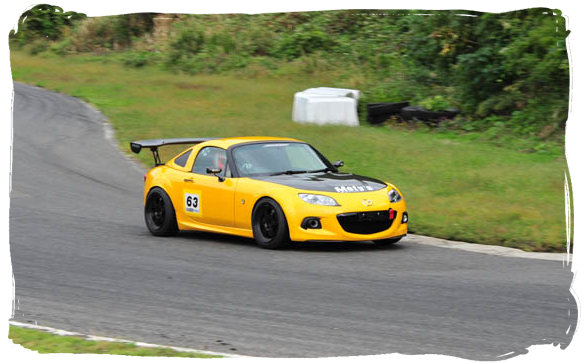 The aero factor is not so important at road speeds, but if you're a trackday regular it is something to consider. With the way the NC body is designed, side skirts are easy to change with the standard items being removed in one piece, almost as if the car was designed with aftermarket parts in mind. It is also worth noting that there are five designs of Mazda side skirt and they are all interchangeable between the different model years. 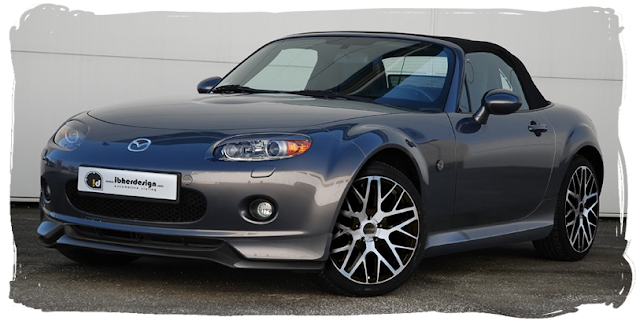 First up is the original factory side skirt as fitted to all NC1 models. It's a fairly simple design with no real distinguishing features, it curves around under the car body creating a rounded shape. 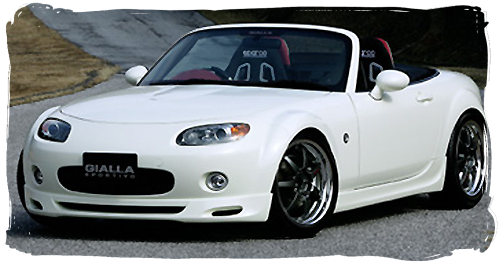 Next is the NC1 optional appearance package skirt. This one extends lower down than standard and has a squarer shape to flow with the front lip. 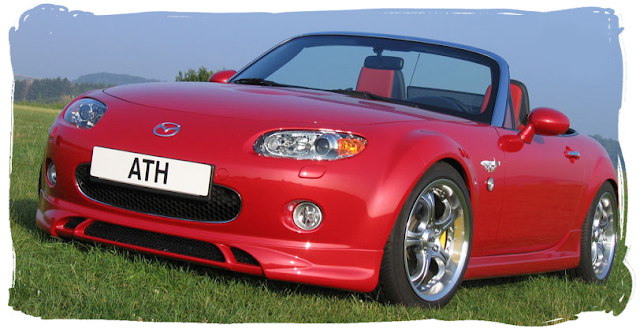 With the facelift NC2 model came a new standard side skirt. This one is more sculpted than the original with a design line that raises up towards the rear to match the new rear bumper design. As mentioned these skirts can be fitted to earlier models for an easy upgrade. NC2 models also had an optional appearance package skirt. This was a more aggressively sculpted design that still matches the rear bumper but also flares out wider and lower than the standard skirt. This one is my personal favourite and works really well on Joy Fast's Tiger demo car. The 5th factory skirt is the optional Mazdaspeed part. 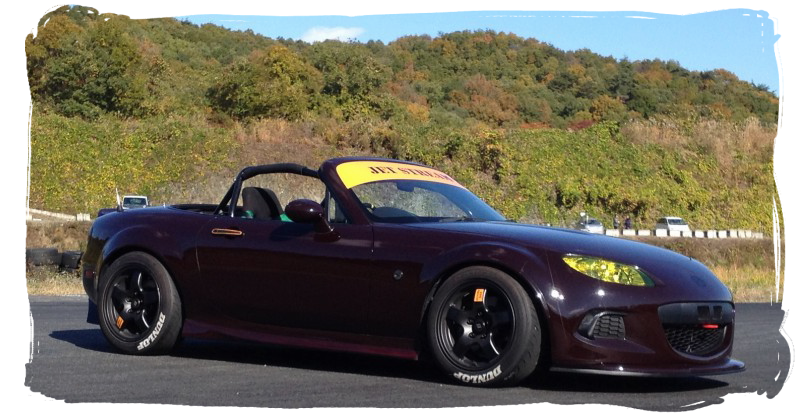 This one has a contrasting lip underneath to match the Mazdaspeed front and rear bumpers. Now we are getting into the aftermarket skirts with this one from Tuckin99 / Chargespeed. It's a fairly simple straight extended skirt that features an inset curve design on the rear edge. 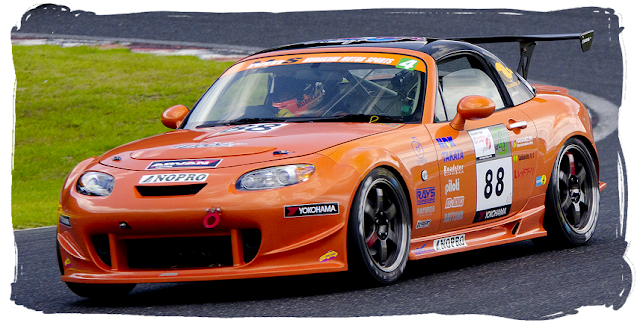 Nopro's GT bodykit includes an aggressively style skirt that includes a vent hole at the rear, it looks great on a track oriented car such as Murakami's bright orange endurance racer. 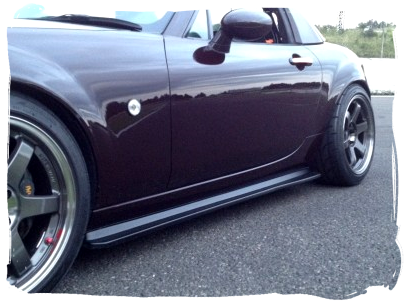 Jetstream do a running board style skirt that attaches the to the standard NC1 part. 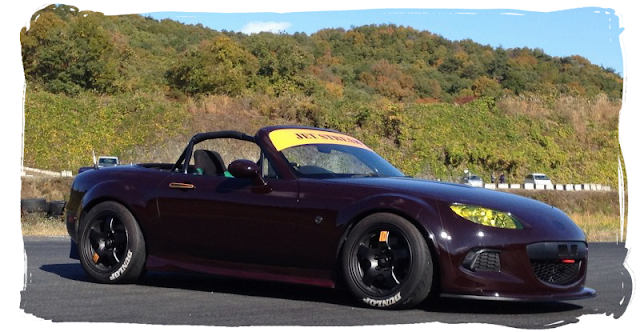 It's part of their Clubman R01 range of aero parts and looks great paired with some wide wheels. They also have NC2/3 aero parts in development. The KD-X Burnout side skirt is a very plain design reminiscent of the NB1 side skirt. It extends lower than the standard part and is also available in carbon fibre. 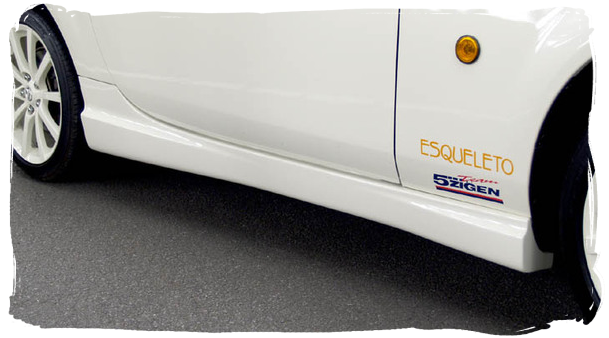 Esqueleto's "Ultimate Edition" aero kit includes this side skirt. These parts are also sold as Trust/GReddy and the kit was used on their demo car. Buddyclub's skirts are similar to the Nopro ones with quite an angular boxy design and also featuring a rear vent. 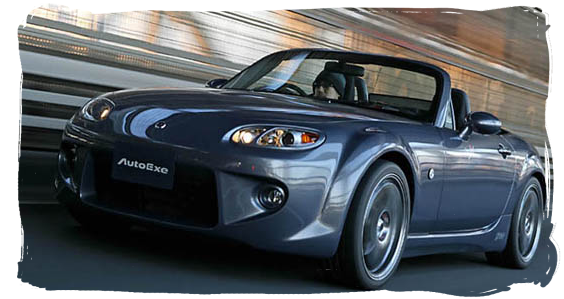 The Bomex NC bodykit and skirts have a really extravagant style, definitely an acquired taste. 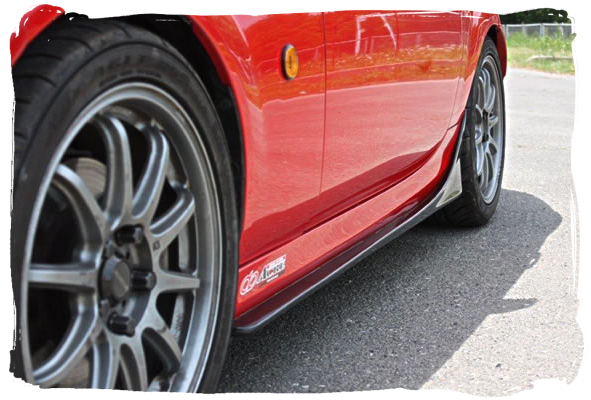 Portuguese styling company Ibherdesign produce these side skirts as part of their California body kit parts for the NC. 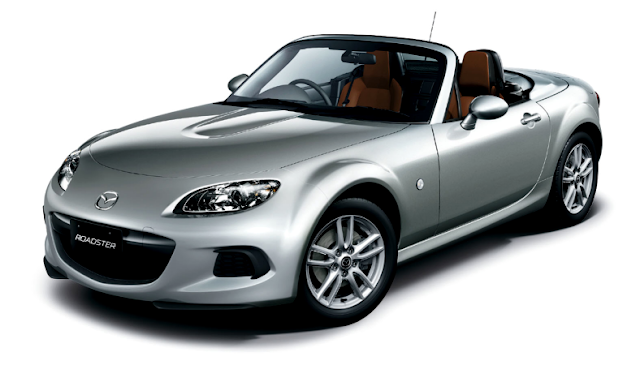 They're similar to the Mazda optional skirts but with a curve towards the front. 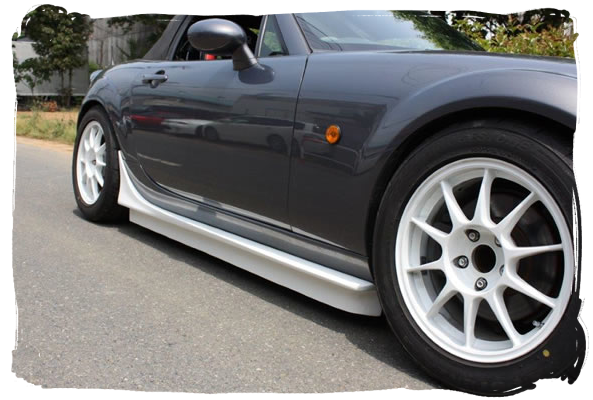 DAMD's Styling Effect skirts are another simple design, extending lower down than the stock part. They also feature a chrome strip. ATH-Hinsberger's Speed range of aero parts includes these side skirts. They're quite a subtle curved design that works well with their front lip. Au-To Bahn Sports' side skirt is difficult to make out on their black demo car, but it's similar to the NC2 appearance pack skirt. AutoExe's NC-03 styling kit includes these skirts. They have a sort of reverse design with an indent section from the front edge. Gialla's side skirt has a sculpted and flared rear section. 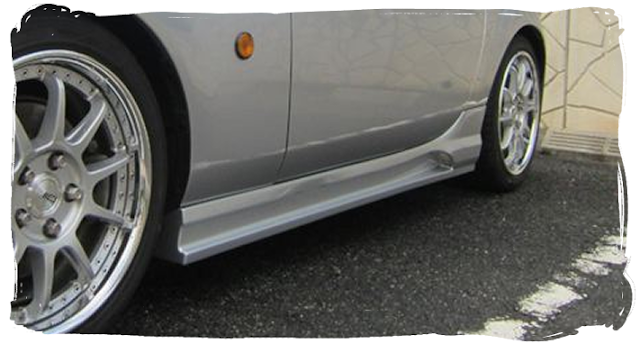 Integral Kobe's range of Jet's aero parts includes these side extension pieces for the front and rear. Also worth noting are these two skirts that were featured on the Mazdaspeed concept Roadsters. The blue concept featured skirts that flared out at both ends and the later silver concept had an additional lip fitted under the optional skirt; neither were made available to purchase. As well as the NC1 Clubman skirts, Jet Stream also have these new skirts for the NC2/3 cars. These are add-on parts that attach to the factory skirt so you don't need to remove and replace the originals. These GT style skirts from Garage Vary would look great on a track car. 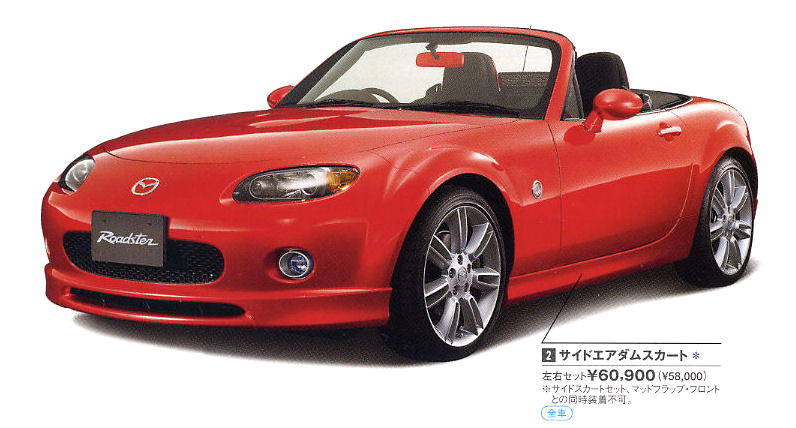 Also from Garage Vary are these add on aero parts for the NC2/3 side skirt.